Sometimes I forget that I’ve ever been incarcerated or the felon merry-go-round that I’ve been on. When I’m feeding the chickens, tending to my vegetable garden, or doing the every day tasks it takes to keep my parents small farm running, it simply slips my mind. My black lab Miss Ebbie, looks at me with nothing but unconditional love, as do the “ladies” who give us our eggs, whenever I feed them corn or the odd head of lettuce. My father has passed and being an only child, my strongest remaining connection is with my mother, who is my ultimate champion. It’s a peaceful and idyllic life but it is not the real world. I forget that too. It’s taken the better part of two years to feel like I belong in my life and that I’m not going to wake up from a dream, still on the top bunk in my cell. A little over a month ago, armed with a sense of self and a newly found worth that only comes from treatment and lots of therapy, I decided to do what I never thought I’d ever have the courage to do: I applied for a job in my field. …we want our second chance and we deserve it. Six years and a lifetime ago, I was a special education teacher. This was before I took a four-year turn into addiction, mental illness, and incarceration. Before applying, I checked with the state licensing agency to make sure that teaching was even still a possibility. I was told that my crime did not in itself prevent licensure, and that hiring was up to individual school districts. Armed with that information, I submitted an application to my local school system where my mom had worked for almost thirty years and being a small rural area, a place where I knew almost all of the administration. Its not that I was hoping for any favors. I certainly didn’t harbor any illusions about the likelihood that they’d respond, with my background so obviously on display in the answer to that golden oldie, “have you been convicted of a felony within the last seven years?”. Therefore, I was left speechless when I was called in for an interview. 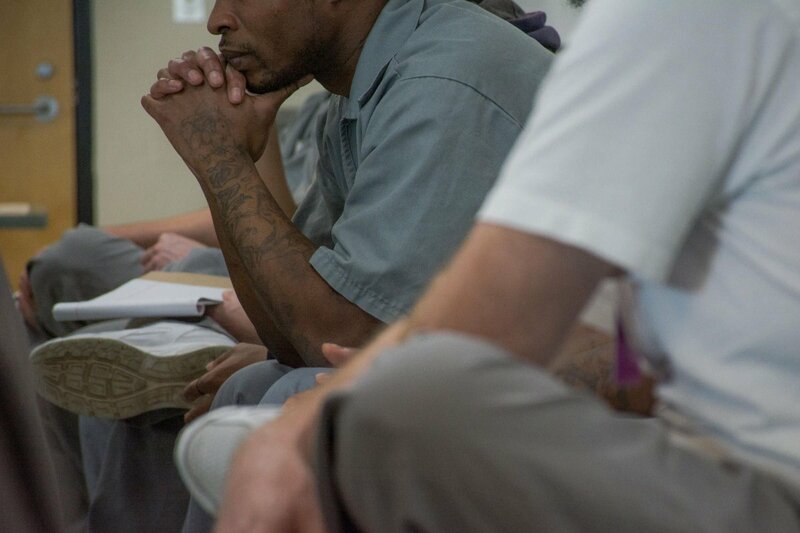 I felt myself beginning to harbor something that can be devastating for those of us who have been down the deep spiral of incarceration- I felt hope. I picked out my interview outfit days in advance and I actually let myself look at new classroom design ideas on the Internet. They called me, there had to be a chance they’d hire me. The interview email confirmation said I would be interviewed by the Human Resources Director. Sitting in the waiting room, I ran through my mindfulness exercises for anxiety and prayed that I wouldn’t appear as nervous as I actually was. When it was my turn, I was led into a board room where sat every principal in the county, the HR Director, and two assistant superintendents. They led me to an empty chair at the head of the table and if I could have, I would have dissolved into the floor. The first question revolved around whether I was eligible to renew my license because of “you know, you’re conviction”. I’m not sure why the lady that asked the question felt the need to whisper the last part, putting extra emphasis on “conviction”. Its not like it was a secret. I could tell where this was leading and I felt I should take control of the situation. After all I knew these ladies, had known most of them for years, and they probably were just as nervous as me. So I lapsed into the facts relating to my crime and the resulting treatment and recovery I had been through. I was proud of myself because up to that point, my first instinct when discussing my past, was shame and lots of apologies, but here I was laying it all on the table with as much confidence as I could muster. The women around the table all stared at me as if I had suddenly grown two heads. I was sure at the time it was because they were impressed with my hutzpah and honesty. It took a bit of time and honest reflection to realize this was not the case. The remainder of the interview consisted of pretty normal interview questions; teaching style, classroom management approach, etc. I answered each question as best I could and I received nothing but smiles and polite laughs. They really seemed to like me and that little nagging bubble of hope began to grow. A week passed and I had heard nothing back so I decided to call the HR director for an update. She cheerfully responded that while they enjoyed speaking with me, before going forward they’d need more info about my criminal record. It’s funny, they didn’t mention anything about that after the interview. Thank goodness I called because otherwise I would have never known! She told me I needed to go to the sheriff’s office for a background check and they’d give me a printout. This sounded completely normal to me and I told get her I would get the printout to her ASAP. So I went to the sheriff’s office, and after waiting and talking to multiple people, the final consensus was that they didn’t do checks there and had never done any for the school system. I was told to go to the County Clerk of Courts office- that would most likely be the place to go. So I went there, and I waited, on a hard overly painted white bench, just to be told that background checks weren’t a service they provided. What I needed to do, they said, was to contact the state police. Yes, that’s it, the State Police. By this time, I was so confused and unsure of what to do. I called the HR Director, but she didn’t answer. I left multiple messages. Finally, still trusting completely in the hope I felt, I called my old probation officer for advice. She told me what I already knew somewhere deep down, that businesses usually ask for a fee to conduct a background check and that at the least, they give you exact directions on how to get the information they require. But you see I’m a stubborn sort. I so wanted to believe I’d hear back from the HR director and that she’d clear everything up. It wasn’t until my mom sat me down and said honey, this a small judgmental place and I know these people, they are not going to hire you. I’m not a crier, it doesn’t behoove you when incarcerated, and well, it takes a lot to break the levy. But looking at mom, who looked so hurt that she had to hurt me, I started crying and I couldn’t seem to stop. It wasn’t that I didn’t get the job, I’d been turned down because of my record before. No, that wasn’t it. It was the way they called me in and smiled at me while they asked questions. It was the way they kept stringing me along on this wild goose chase of a job when they never had any intentions of hiring me. It was the unnecessary way they kept my fragile belief alive- that’s a pain of a different sort. And it’s not that I believe they necessarily did it on purpose. I truly believe they had never encountered someone like me before. They had absolutely no idea how to respond. Instead of just saying we went with another candidate, they did nothing and it left me feeling as alien and exposed as I ever had. The vast majority of those of us with records want nothing more than to be good people, living good lives. We have no desire to go back to the horrors we have survived or to re-inflict the hurt we have caused ourselves and others. Quite simply, we want our second chance and we deserve it.